With Daylight Savings going into effect this weekend, we’re all looking forward to spring. Those extra moments of sunlight will be celebrated with outdoor cocktails, breezy strolls and flirty innuendos. 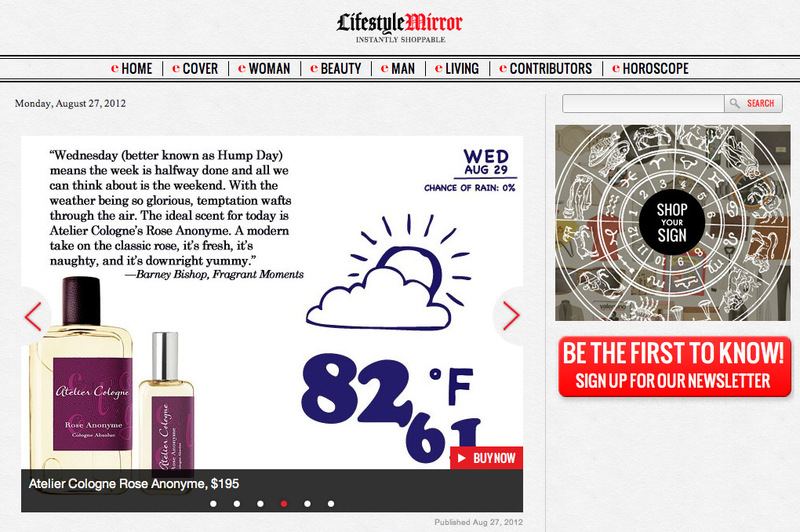 As a precursor to the season of relief, LifeStyle Mirror produced a piece about the Scents of Spring. They asked me to be a part and to my surprise, I’m in the midst of great company. My thoughts are alongside Chad Murawczyk of Min New York, David Moltz of DS & Durga, Francis Kurkdjian, Christopher Cervasel of Atelier Cologne and Carlos Huber of Arquiste. Check it out when you have a moment. Forget about the hour of sleep you lost and look forward to spring baby…it’s right around the corner.